An ingrown toenail may clear up on its own, but when it persists, causes pain, or develops an infection, it’s essential to get professional treatment. 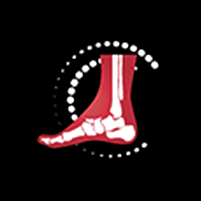 Dr. Dustin Hubbard and Dr. Ralph Dixon at Fairbanks Foot and Ankle are experts in providing treatments that quickly alleviate your pain and help your toe heal. If you need treatment for an ingrown toenail, call the office in Fairbanks, Alaska or use online booking to schedule an appointment. An ingrown toenail, also called onychocryptosis, occurs when your toenail grows into the surrounding skin. Although it could occur in any toe, it typically affects your big toe. A toenail that’s cut too short or rounded at the edges rather than cut straight across the top commonly causes an ingrown toenail, because the skin can easily fold over the nail. Wearing shoes that are too short or too tight can lead to an ingrown toenail because they push the nail against your skin. You’re more likely to develop an ingrown toenail if you have bunions, hammertoes, or flatfoot. Trauma, such as stubbing your toe, and activities that place repeated pressure on your toes, such as kicking a ball, may also contribute to the problem. A fungal infection could lead to an ingrown toenail. An ingrown toenail usually causes pain, redness, and swelling around the nail. You can also develop an infection if the nail breaks your skin. When an infection goes untreated, it may spread to the underlying bone. If you have diabetes, it’s important to see your doctor at Fairbanks Foot and Ankle at the first sign of redness and swelling to prevent an infection. If the nail is infected or you have a health condition such as diabetes, nerve damage, or poor circulation, see the team at Fairbanks Foot and Ankle rather than treating your toe at home. Otherwise, you can soak your foot in room-temperature water and gently massage the side of the nail to reduce inflammation. Don’t trim the ingrown portion, however, because you may nick the skin and worsen the problem. Your doctor may lift the edge of your ingrown toenail and place cotton, dental floss, or a splint under it to keep the nail separated from the skin while the nail grows. In severe cases, or if you have repeated ingrown toenails, your doctor may remove the ingrown portion of the nail along with the underlying tissue. This procedure permanently eliminates that part of the nail, preventing a future ingrown toenail. When an ingrown toenail causes pain or doesn’t get better, call Fairbanks Foot and Ankle or book an appointment online to receive expert treatment and prevent an infection.